This is the retail version of our FTDI Basic 3.3v. This is the same as our regular FTDI Basic, but in retail packaging. Sorry for the delayed response. These are pretty reliable little boards, so you shouldn't be seeing any issues with it. If you do run into problems, try reinstalling the drivers first, and if possible, try a different USB cable. 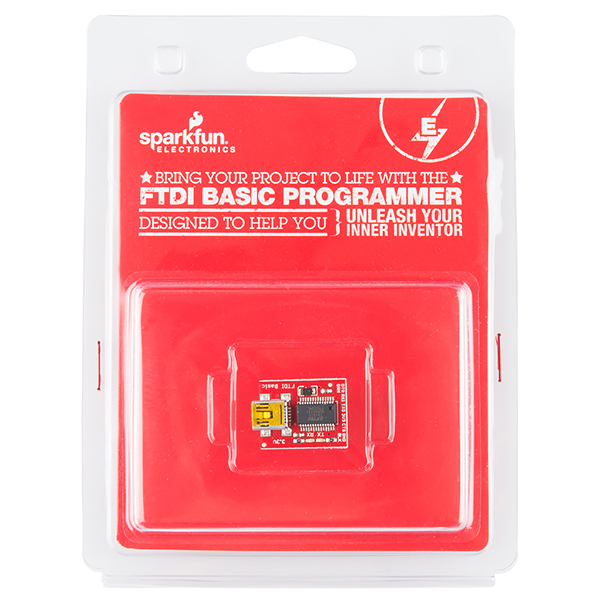 If you still have problems, please contact us at techsupport at sparkfun dot com. dumb question, but are the TX and RX lines on here 3v3 as well? see dumb question. I see now that yo ucan connect vccio to whatever voltage you want to make it 3.3, 2.8, 5v, etc. Questions are never dumb my friend. Not asking a question in fear of ridicule is dumb. However, ridicule is in no way dumb because its a form of hazing and hazing is always fun. 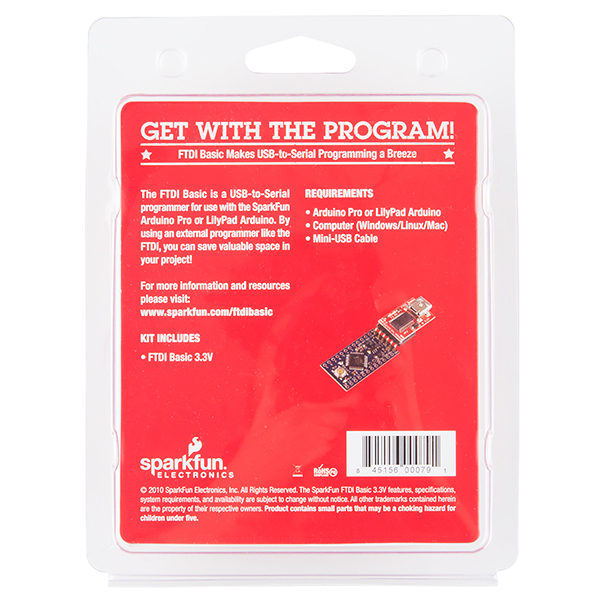 What's the difference between this one and http://www.sparkfun.com/products/9873 ? I've afforded the second one and I'm in trouble anytime I try to download an sketch to my Arduino Pro board. I need to press RESET button. Any suggestion? The link on the back of the packaging doesn't lead anywhere.